John Logan Black III, MD is Co-director of the Mayo Clinic Personalized Genomics Laboratory in the Department of Laboratory Medicine and Pathology at the Mayo Clinic. He did his undergraduate and graduate work at the University of Wyoming before studying medicine at Creighton University. He did his residency in Internal Medicine and Psychiatry at Mayo Clinic and joined the staff of the Mayo Clinic in 1985 in the Department of Psychiatry and Psychology. He was later jointly appointed to the Department of Laboratory Medicine and Pathology to co-direct the Personalized Genomics Laboratory. His research has evolved over the years. Early in his career he worked with Elliott Richelson to apply Dr. Richelson’s basic science work in neuroreceptor binding to drug side effects in clinical psychiatry. Subsequently, in Dr. Vanda Lennon’s laboratory, he examined the role of neuronal autoimmunity in tardive dyskinesia, Stiffman syndrome, Lambert-Eaton myasthenic syndrome and narcolepsy. While working with Dr. Lennon he discovered and defined many members of the neuronal voltage-gated calcium channel gamma subunit family. Subsequently, Dr. Black’s research shifted to the study of pharmacogenomics. He performed the genotyping for many protocols designed to examine the role of gene variability in psychotropic drug response and side effects and he focused on defining variations in the CYP2D locus which lead to an understanding of the complexity of this genetic locus. He subsequently developed and implemented over 30 laboratory developed tests including for the CYP2D6 gene. Recently Dr. Black has been involved in generating high throughput and low cost testing of pharmacogenes on NGS platforms. He has generated methods that allow the genotyping of CYP2D6 on short read NGS platforms such as Illumina platforms which is now in clinical production for the CIM RIGHT10K project. Dr. Black is also a decorated combat veteran having served over twenty years in the US Army Reserves including 12 years in the Special Operations Forces community. He retired with the rank of Colonel in 2014. 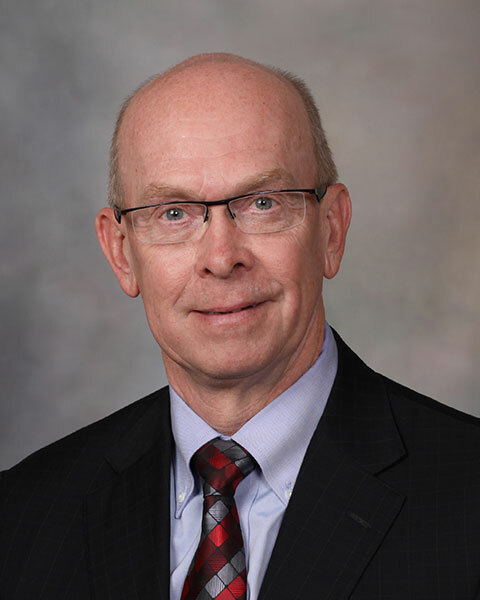 Bio: John Logan Black III, MD is Co-director of the Mayo Clinic Personalized Genomics Laboratory in the Department of Laboratory Medicine and Pathology at the Mayo Clinic. He did his undergraduate and graduate work at the University of Wyoming before studying medicine at Creighton University. He did his residency in Internal Medicine and Psychiatry at Mayo Clinic and joined the staff of the Mayo Clinic in 1985 in the Department of Psychiatry and Psychology. He was later jointly appointed to the Department of Laboratory Medicine and Pathology to co-direct the Personalized Genomics Laboratory. His research has evolved over the years. Early in his career he worked with Elliott Richelson to apply Dr. Richelson’s basic science work in neuroreceptor binding to drug side effects in clinical psychiatry. Subsequently, in Dr. Vanda Lennon’s laboratory, he examined the role of neuronal autoimmunity in tardive dyskinesia, Stiffman syndrome, Lambert-Eaton myasthenic syndrome and narcolepsy. While working with Dr. Lennon he discovered and defined many members of the neuronal voltage-gated calcium channel gamma subunit family. Subsequently, Dr. Black’s research shifted to the study of pharmacogenomics. He performed the genotyping for many protocols designed to examine the role of gene variability in psychotropic drug response and side effects and he focused on defining variations in the CYP2D locus which lead to an understanding of the complexity of this genetic locus. He subsequently developed and implemented over 30 laboratory developed tests including for the CYP2D6 gene. Recently Dr. Black has been involved in generating high throughput and low cost testing of pharmacogenes on NGS platforms. He has generated methods that allow the genotyping of CYP2D6 on short read NGS platforms such as Illumina platforms which is now in clinical production for the CIM RIGHT10K project. Dr. Black is also a decorated combat veteran having served over twenty years in the US Army Reserves including 12 years in the Special Operations Forces community. He retired with the rank of Colonel in 2014.